Last week, Intuit announced a major expansion to their PayByCoin software, which allows Quickbooks customers to issue and pay invoices in Bitcoin with a single click. Previously, the software worked via an integration with Coinbase. Now, they’ve announced that their support is expanding to include BitPay, the other leading Bitcoin payment processor, and Coinbase’s primary competitor. 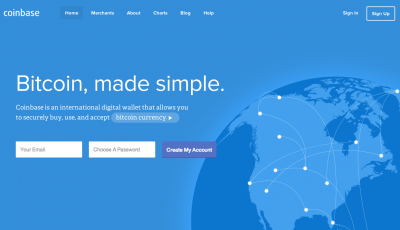 PayByCoin now supports both Coinbase and BitPay – competing services. What features or value does the new BitPay integration provide to the end user that Coinbase did not? Are there notable differences between the two platforms? Bitcoin invoices have a few major advantages – internationality, low fees, no chargebacks, etc. Have you seen those advantages reflected in the industries that are quickest to adopt the technology? What’s it like developing Bitcoin software? How does it compare to using more traditional payment processing APIs? What sort of adoption are you seeing from your PayByCoin product? Is it a major feature of the day to day business, or more of a preliminary experiment? What’s next for PayByCoin? Where do you guys see your service going over the next few years? Bitcoin invoices are a great way to bring small businesses into the Bitcoin ecosystem, and a way to show off the advantages of the technology. We wish the Intuit team well, and can’t wait to see where they go from here.